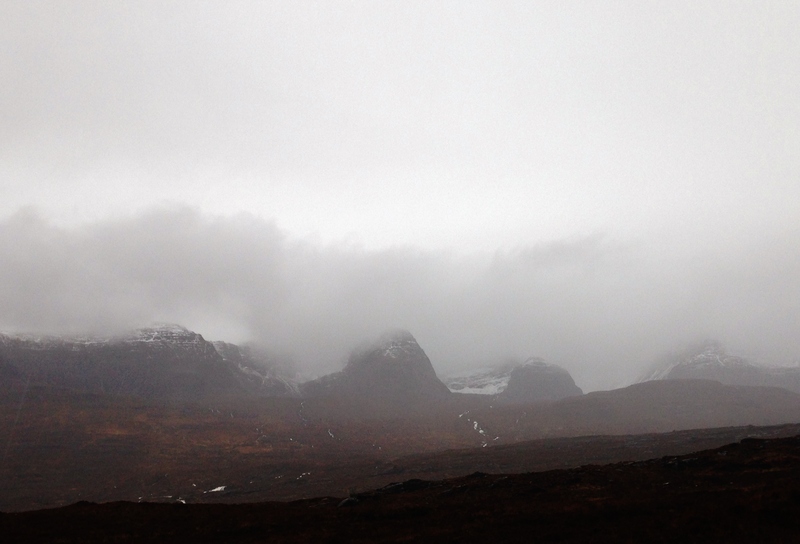 SAIS Torridon Blog » A Foul Day! As expected, a much depleted snowpack today with significant snow loss, particularly at lower elevations. Snow line at about 600m but reasonable cover remaining above 800m. 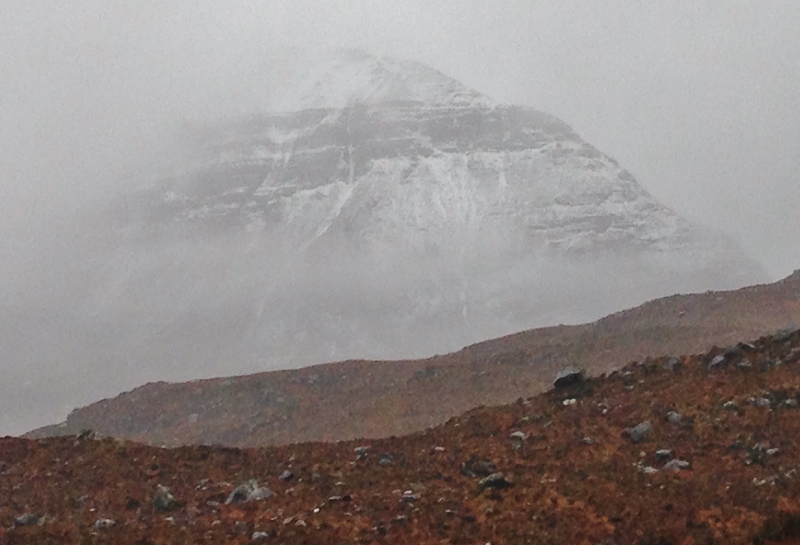 Some fresh snow observed on the summits early afternoon as I caught a glimpse of the tops through the rain and cloud. Much colder tomorrow onwards with snow and strong Northerly winds forecast. The snow cover on Stuc a’ Choire Dhuibh Bhig at the east end of Liathach this afternoon. 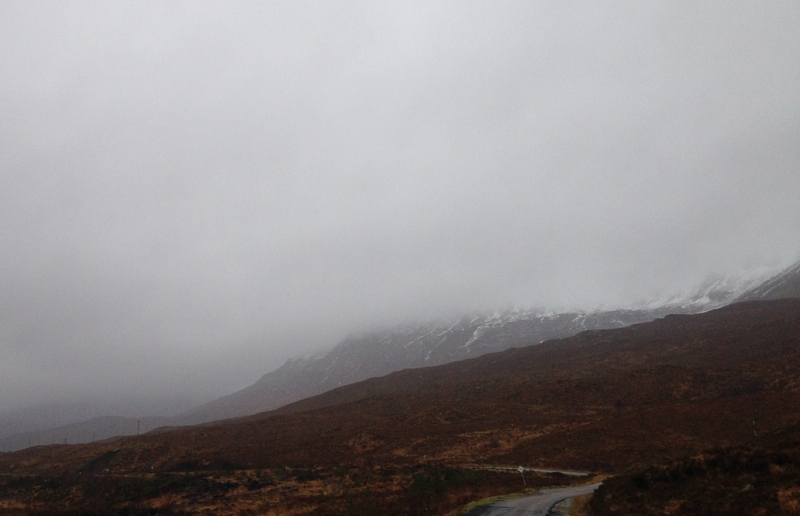 Glen Torridon in heavy rain this morning. There were burns descending the hillsides where I’ve never seen burns before! Due to heavy rain combined with snow melt. Photo of typical thawing and patchy snowpack at mid elevations. The coastal mountain of Beinn Bhan. 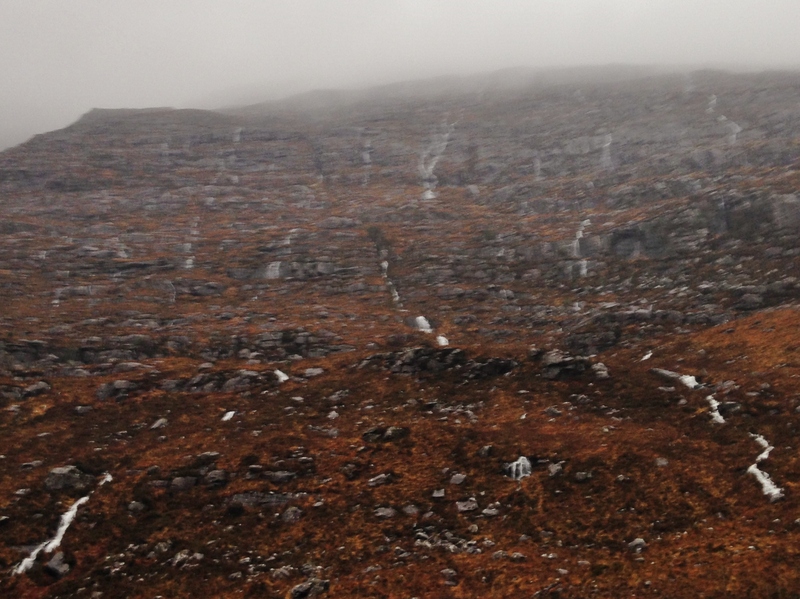 Evidence of collapsing icefalls in the eastern coires. 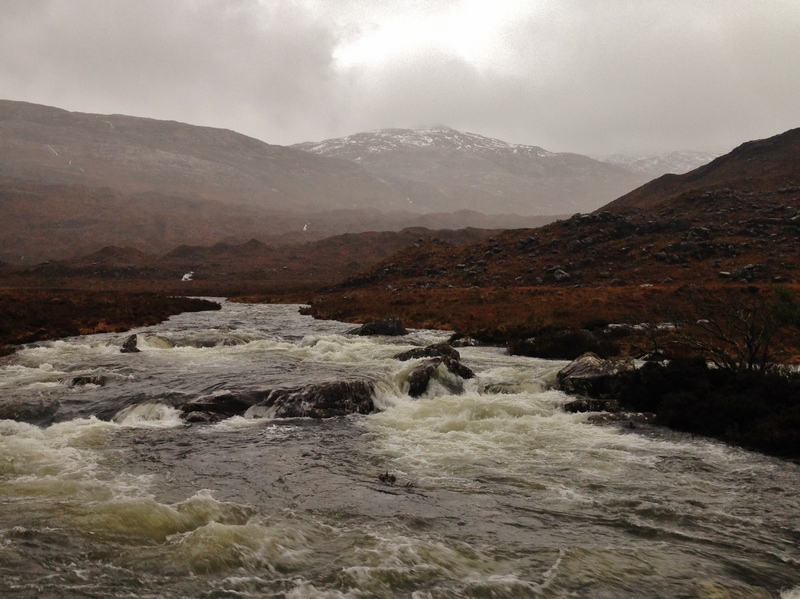 The river Torridon. Most rivers were higher by the afternoon. 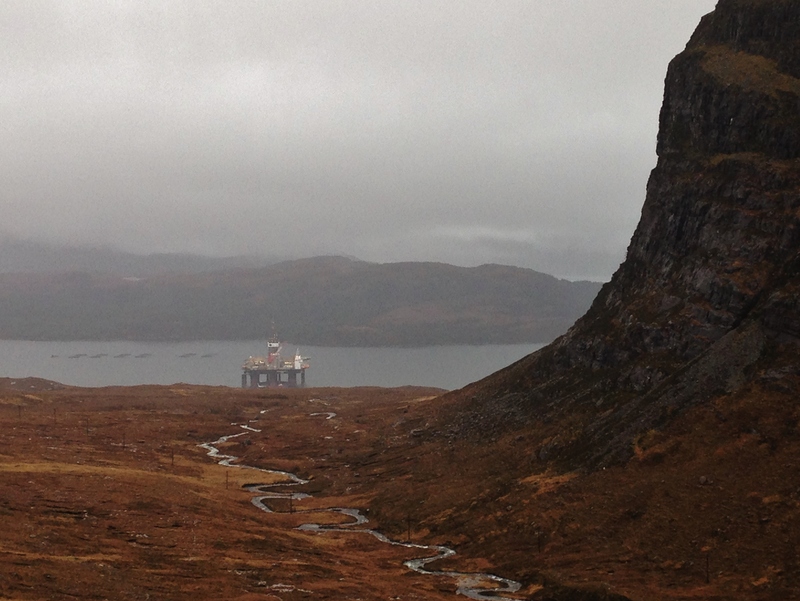 New business for the Kishorn yard – the servicing of a 600,000 tonne drilling rig. 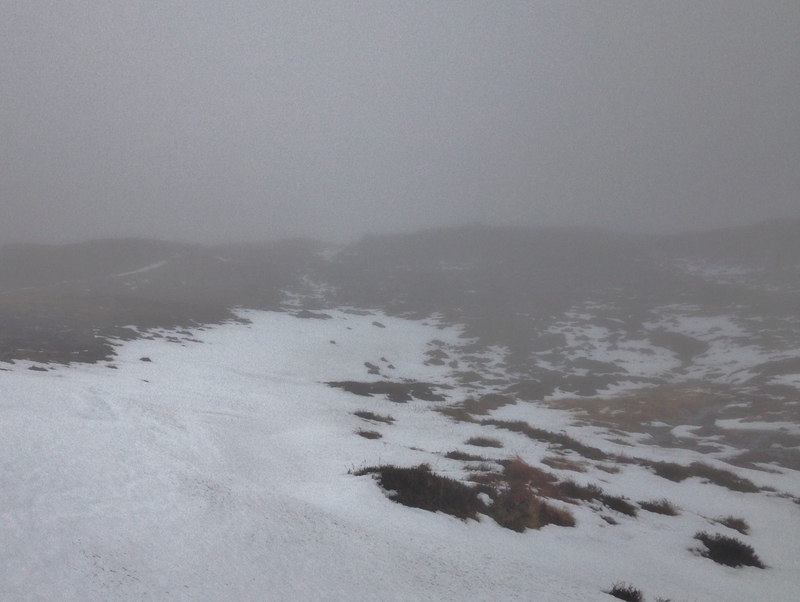 Spot the snow…. Yeah, there aint none in this photo!